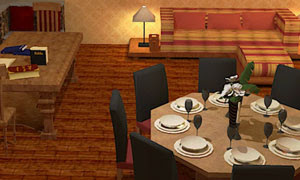 Dinner For Eight is another point & click, escape game by abroy. For some weird reason all the others who supposed to come to the dinner are missing, escape before you will hit the same fate. Good luck and have fun.